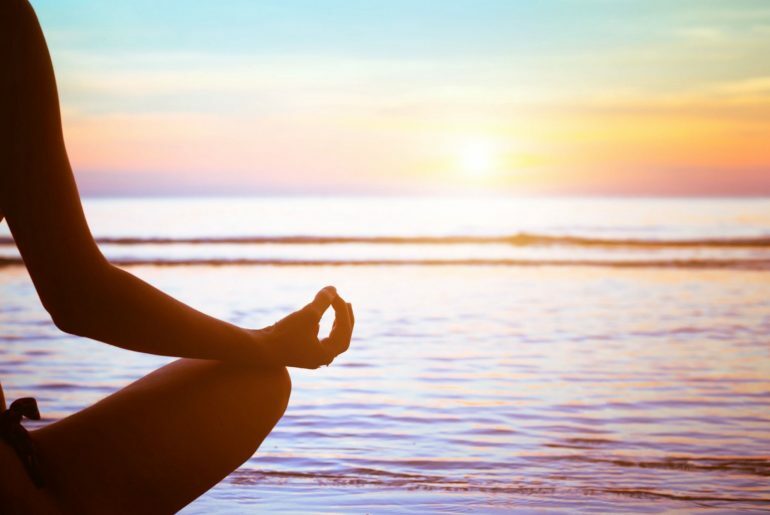 It’s no surprise that with its many benefits, meditation has been growing in popularity and attracting people from all walks of life. Whether you are just starting out or a seasoned meditator seeking to deepen your practice, there’s a book here for you. 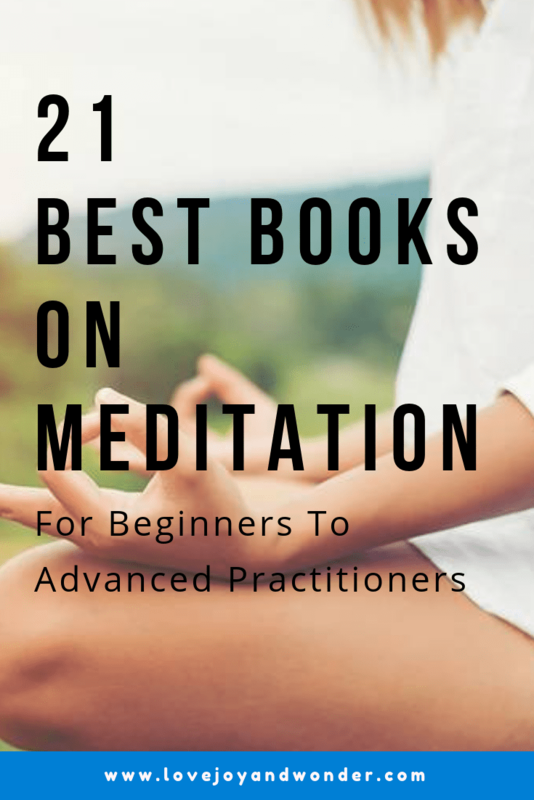 We’ve put together a list of the 21 best books on meditation for beginners all the way to those more advanced,. We hope that it will support and inspire you on your journey to inner peace and harmony. A modern classic and ideal for those new to meditation and mindfulness. Author Jon Kabat-Zinn is known as the “father of mindfulness” and is a scientist, writer, and meditation teacher. And notably, a former student of several acclaimed masters including Thich Nhat Hanh. Though the author has trained with the best teachers he keeps the concepts practical, accessible and easy to understand. Covering everything from the basics to simple techniques that you can practice in everyday life. You will be challenged to live the present moment and fully accept where you are, right here and now. This book from Pema Chödrön, a Buddhist nun, and author of some of the best books on Spirituality, including When Things Fall Apart. This straightforward guide will teach you everything you need to know about meditation, and is an excellent place for new Zen seekers to start. 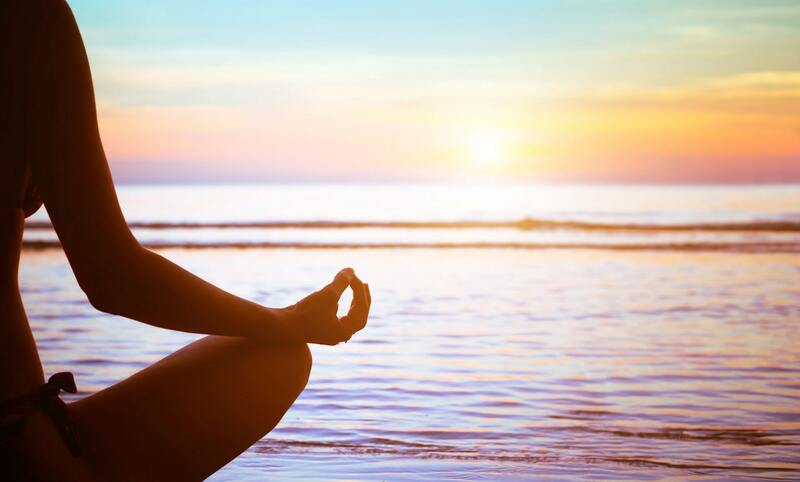 From the 6 points of posture, to working with your breath and cultivating an attitude of “friendliness”, the author explores various meditation methods and insights into practicing. Breaking it down with easy to follow steps to help you overcome obstacles ensure long-term daily meditation success. An essential resource that also teaches the concepts that are vital to living a peaceful life filled with authenticity, compassion and connection. If you are looking for easy to understand, step-by-step method for bringing meditation into your life this one is for you. Learn simple routines taught by author, Jack Kornfield, acclaimed meditation teacher and co-founder of the Insight Meditation Society. A quick read that also comes with a CD of guided meditations, so you can get started on your practice right away. If you’ve never used a guided meditation before this is a good way for you begin as it gives your “monkey mind” something to hook into, as you learn to deepen your practice and focus. As you go along, you’ll discover how easy it is to use your breath, physical sensations and even difficult emotions to create harmony and loving kindness in your everyday life. Ultimately, laying a foundation for a lifetime of inner peace and awakening. Since it’s publication over 40 years ago, Zen Mind, Beginner’s Mind has become a spiritual classic and must read on the subject of Zen. Teaching calmness and serenity and how to let go and make the mental space you need to peacefully move through the world – “like a cloud passing through the sky”. Good for all levels of meditators as it goes deeper into the heart of your practice. Sharing timeless wisdom to help you cultivate your mindset, live in the present moment and make the most out of your Zen experience. Chade-Meng Tan, is one of Google’s earliest engineers and a pioneer in the field of personal growth, including teaching his fellow employees how to apply mindfulness at work and beyond. This book is a way you can get personal access to his sought after work in the field of mindfulness and emotional intelligence, and apply it to your own life. Recommended for the busy person wishing to deepen self-awareness, build confidence through compassion, improve health, feel happier and more creative in today’s modern world. Making space was designed to be an inspirational guide for those new to the practice of mindfulness. Written by master teacher, Thich Nhat Hanh, it offers easy to follow instructions for living your life mindfully and establishing a home meditation practice. It teaches creative practices that go well beyond simply sitting quietly. You’ll learn how to set up a breathing room, breathing techniques, walking meditations, and even how to cook and eat a meal in mindfulness. This beautifully illustrated resource will inspire you to make your home your own personal peaceful sanctuary from the business of modern life. Can you teach yourself to meditate? Author Eric Harrison says yes. Trained in the Buddhist traditions of Burma and Tibet, and has practiced meditation for more than thirty years. He’s developed his own methods that will appeal to those who want the practical side and benefits of meditation without to much of the mysticism. Teach yourself to meditate, offers easy techniques that are only 15 minutes long. With an aim to make it as simple as possible, he takes the practice of meditation down to its core roots of: Breathing, posture, mantras, body awareness, visualization and detachment. After reading this one, you’ll have a good understanding how meditation works as well as, what it is and is not. This is an excellent first step for anyone who wants to learn the habit of mindfulness and meditation, but struggles to commit to the practice. Designed to be an approachable “how to”, the author gives you a structured 8 week program that teaches a new technique each week. Written with clear, supportive step-by-step instructions, Davich, also addresses frequently asked question as well as advice on how to “troubleshoot” the most common stumbling blocks in your mindfulness practice. If you are new to meditation or if you just can’t seem to stick to a consistent daily routine, this book is for you. The author explores the most common reasons why a successful practice can be so hard to commit too. Sharing guidance from a wide spectrum of mindfulness teachers, and personal accounts by new meditators, this book directly addresses all of the roadblocks standing between you and maintaining a successful practice. Including shedding light on how what you might think is boring, painful or uncomfortable about meditating, is actually an invaluable part of an awakened path. Whether you’re just getting started, have a hard time being consistent or have stopped all together, this book can help you get your practice back on track. Author Sharon Salzberg is a sought after, spiritual author and teacher and along with Jack Kornfield the co-founder of the Insight Meditation Society. Using her 30 years of teaching meditation she has created a 28 day program that can change your life. With clear and concise directions you’ll learn the basics of posture, breathing, and the daily routine to the finer points of calming the mind, distraction, dealing with specific problem areas and tackling the larger issues of compassion and awareness. This is a great resource for anyone just starting out as it, as it shares twelve meditation practices, including mindfulness and walking meditation. And also follows up with the answers to the most frequently asked questions on the art of meditating. In his definitive introduction to Zen Buddhism, Alan Watts gives a clear and straightforward explanation of the principles and practices of this ancient religion. He delves in the origins of Zen and connects the dots to how it influences modern day living. Good if you’ve been meditating for a few months or more. See it on Amazon here. Perfect for anyone who wants to go beyond basic practices and understand the science behind meditation. Combining traditional Buddhist wisdom with the latest research in neuroscience and cognitive research, the author gives detailed step by step instructions to help your meditation practice. In this 10 stage program, you’ll learn how to improve memory, focus and expand your concentration while overcoming common obstacles. Filled with illustrations and charts this is the ultimate guide to help you through every step of the meditation process. Whether you are a budding meditator or a season practitioner, this classic best seller can help you further your meditation journey. Sharing valuable insights and step by step instructions, it walks you through the myths, realities, and benefits of meditation and the practice of mindfulness. Including, how to establish a routine that works for you. Do you struggle to quiet your mind and then feel bad when you can’t? The author Jason Siff, believes this is a misguided approach to a natural part of meditation. Urging readers to change their perspective, gain insights and learn more about themselves in the process. Pick this up, if you’re frustrated with your thought processes and looking for a new and refreshing approach to your practice. A best selling classic by Ram Dass is the ultimate guidebook to exploring the many types of meditation – from mantra, singing, visualizations, movement as well as “just sitting” just sitting quietly, you’ll find the right practice for you. Along the way he sheds light on the benefits of the practice and provides illuminating advice on overcoming any obstacles along the way. Especially written for those looking to deepen their practice, The Meditator’s Dilemma, addresses the issue of why it’s so difficult to maintain an everyday practice. Written by a psychologist with over forty years of experience practicing and teaching meditation it addresses the problem, its causes and gives actionable techniques to improve your meditation experience. Learn how to bring the qualities of play, joy, gratitude, warmth, and kindness to your mindfulness meditation practice, while remaining rooted in the ancient teachings of the Buddha. If you are looking to peacefully expand your practice this one’s for you. Those looking to go further into their meditation practice can benefit from the classic teachings of Tibetan master Chögyam Rinpoche. Which takes the concept of meditation beyond sitting meditations, too applying it as a foundation for compassion, awareness and creativity in all areas of your life. Exploring six activities associated with the concept of meditation in action—generosity, discipline, patience, energy, clarity, and wisdom. Giving the reader insights into how through direct experience one can transcend the ego and gain clarity and real wisdom. Written by two of the worlds best known, Buddhist teachers, The Path of Insight Meditation, shares the concept of Insight Meditation a practice that can lead to more understanding, clarity and the true nature of our existence. A quick read that offers readers a summary of the concepts taught in the author’s own meditation retreats around the world. If you’re looking to strengthen your mindfulness practice, cultivate compassion and have heart-based connections with both yourself and others – this ones for you. See it on Amazon here. Loving Kindness The Revolutionary Art of Happiness, is a clear and accessible introduction to the Loving Kindness Meditation, also known as Metta. The concept is simple – fear creates a lack of intimacy, separateness, despair and loneliness. Metta seeks to dissolve this, as your mind cannot draw on fear while practicing loving kindness. Drawing on Buddhist teachings which are followed up with practical instructions, exercises and meditations, it enables you to take the concepts and easily apply them to your own life. This book will help you to have greater sense of connection, love and empathy with yourself, with others and discover the joy within. Would you like to be more creative and present? Written by Alexandra Frey and Autumn Totton of The Mindfulness Project, and filled with inspiring hands on exercises, meditations and creative activities for more mindful living. I Am Here Now will challenge you to be more present, observe the world with more creativity, curiosity and find mindful moments in your everyday life. Not technically a meditation book, but rather a fun way to use art as a means to soothe the stress and anxiety that comes with modern day living. Perfect for anyone who wants to decompress at the end of a long day, or just needs a quick 10 minute breather to color their way to calm. From the basics, to the philosophical, to just plain fun, we hope that you enjoyed our list of the best books on meditation. No matter where you are in your journey – beginner, intermediate or advanced there is a book for you to deepen your practice and support you on the path to be more present, peaceful and enlightened. Would you like to inspire others?